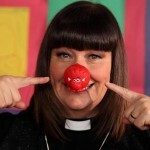 Fresh on the heels of last weeks brilliant news that Dawn French would participate in a forthcoming Vicar of Dibley sketch for the Red Nose Day portion of Comic Relief 2015, which is set to air on BBC One on Friday, 13 March 2015, comes the icing on the proverbial British comedy cake for fans that will have the great good fortune of being able to tune in. 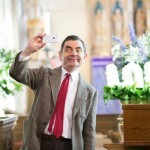 Rowan Atkinson, a.k.a. Mr. Bean, will once again don the tweed jacket and skinny red tie so associated with the ‘child trapped in a man’s body’ to mark the 25th anniversary of Mr. Bean, which premiered in the UK on ITV on 1 January 1990. 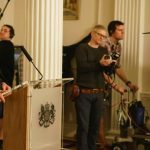 Much like the Vicar of Dibley sketch, which is rumored to be centered around a Bishop of Dibley storyline, little is known at this point as to what Mr. Bean will do, with a BBC spokesperson only willing to commit to the generic soundbite, “I can confirm there is a Mr Bean sketch for Red Nose Day on Friday, March 13“. If it’s anything remotely close to his last appearance in the 2007 Comic Relief sketch, “Mr. Bean’s Wedding”, it will be well worth the time spent viewing. As with the original Mr. Bean series, you never know who might pop in. In this sketch from the 2007 Comic Relief, it was Matthew Macfadyen, well-known at the time for his portrayal of Tom Quinn on Spooks (MI5) and David Haig, Atkinson’s co-star in The Thin Blue Line. 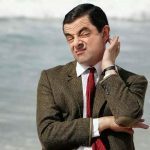 The star of Blackadder began developing his ‘Bean’ character while studying for his master’s degree in electrical engineering at Queen’s College, Oxford in the 80’s where he met friend and Mr. Bean/Blackadder co-creator/writer, Richard Curtis. 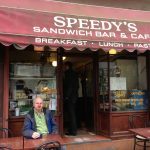 Interestingly, it was Curtis who told us during our interview for the PBS special, Behind the Britcom: From Script to Screen, that he had intended to be a stand-up comedian upon entering Oxford but quickly changed to wanting to be a writer after seeing Atkinson perform. 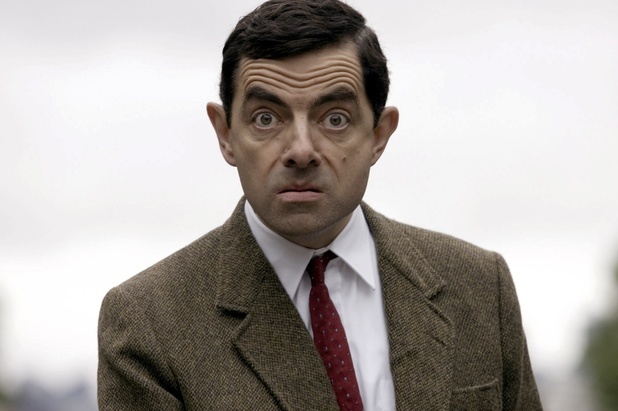 Atkinson’s last bit of Mr. Bean greatness was during the opening ceremonies for the 2012 London Olympics where he showcased his musical prowess with the London Symphony Orchestra in a spectacular performance of the theme from Chariots of Fire, written by Vangelis. Time to get your ‘red nose’ on for Red Nose Day 2017!